Particle accelerators are used to deliver proton therapy. Particle accelerators are used to deliver proton therapy, a type of radiation treatment that uses a beam of high-energy particles. Unlike traditional radiation therapy though, which utilizes photons (x-rays), proton therapy uses an intense beam of isolated protons. 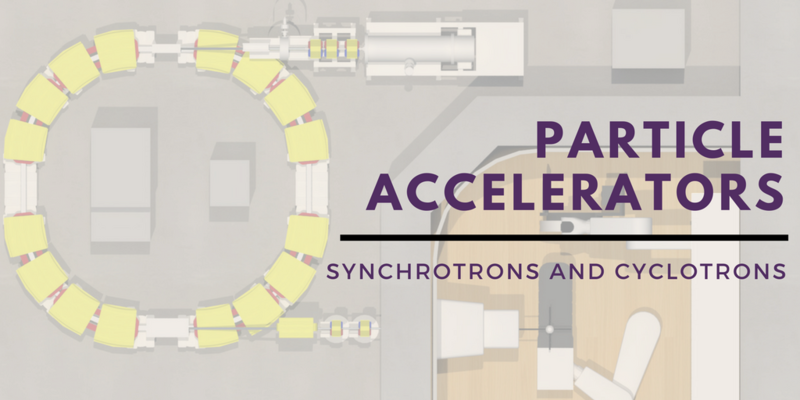 Two types of particle accelerators are the most common ion accelerators for proton therapy facilities – the cyclotron and synchrotron. When determining what system best fits the needs of their constituency, medical facilities administrators and stakeholders should consider the unique features of each.